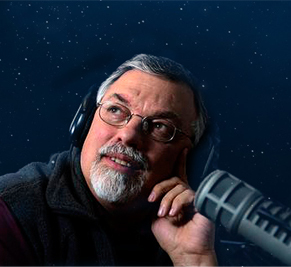 Real Science Radio host Bob Enyart interviews intelligent design rock star Michael Behe, author of Darwin's Black Box, The Edge of Evolution, and in 2019, Darwin Devolves. After decades of spats with secularists including Jerry Coyne, PZ Myers, and Jack Horner, and full interviews/debates with Eugenie Scott, Michael Shermer, Lawrence Krauss, and the really fun interviews with Seattle's intelligent-design Discovery Institute scientists Rick Sternberg, Paul Nelson, Steve Meyer, Doug Axe, Ann Gauger, and more, finally Bob gets to talk to Dr. Behe! Today's broadcast describes the main argument in Devolves and Bob urges listeners to click on the graphic above and support Michael's work by purchasing (and reviewing on Amazon!) his latest book! 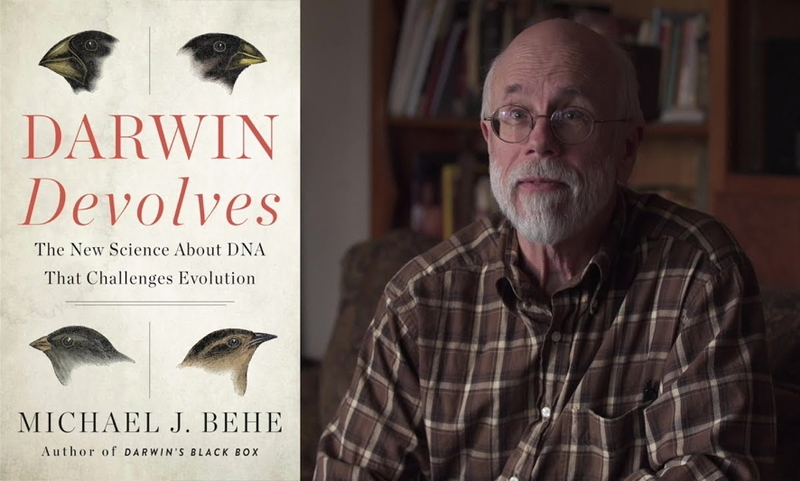 * Only Now Challenge: Bob asks Dr. Behe if he could respond to a challenge about his claim, heard often from the Intelligent Design movement, that only now with the advances in molecular biology can we refute Darwin's mechanisms. "Only in the past few decades could the adequacy of Darwin's proposed mechanism of evolution even begin to be tested." (Behe, 2019, p. 20). Ultrasound Analogy: Bob compared this to those who claim that until we had 4D ultrasound we couldn't see that the fetus was a person, except that mom could always feel the baby kick and thousands of years of miscarriages removed any doubt. So the lack of technology does not absolve our ancestors of their guilt in killing unborn children. Organism Analog: Likewise with the claim that only now can we evaluate Darwin's evolution mechanism, for before the electron microscope men could still see the organism itself. An animal, for example, at a macro scale, is a perfect analog for the molecular machinery within it. An animal's interdependent and interoperable complex systems of respiration, digestion, and reproduction, for example, all of which have to develop together, from a fetus onward and have to work together. Extinction Level: Before identifying DNA, human beings could see that most major evolutionary challenges would be extinction level events. For long before you evolved good wings, you'd evolve bad legs and go extinct. Consider the claim of the non-directed arrival of reproductive organs (which is inherently absurd), or talk to a chiropractor (about the spinal column being pieced together part by part in a non-directed fashon) and hear him laugh. The claims that the skin, brain, heart, kidneys and liver, stomach and intestines, the lungs, arose by non-directed processes all result in extinction level events when they don't work effectively, and they have to work together with and be compatable with all an animal's other complex systems. Pre-Darwin Sophistication: Gregor Mendel proposed genetic science (Mendelism) as Darwin was publishing Origins. And 70 years earlier an Italian researcher discovered echolocation in bats when they could still fly after he blinded them and the next year in 1794 a Swiss put wax in their ears and the bats crashed. Overselling Could Excuse: So if we oversell our modern insights, we may unintentionally excuse our ancestors, like those who mistreated aborigines and blacks. For even without microscopes, the early Darwinists can not be excused and really should have known that such were not animals but human beings made in God's image. Microscopic complexity has an analog in the whole organism. So Darwin's proposal was rationally falsified from the start and today we merely build on that foundation.